Rub a dub dub! 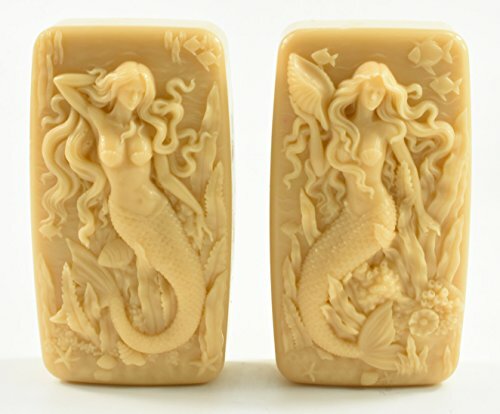 I recently did a post on mermaid gifts and came across mermaid soap. 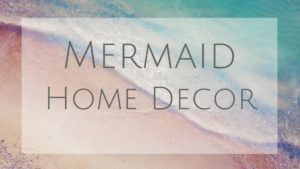 Beautiful colors and creative ways to accent your mermaid bathroom! If you are interested in buying or making your own soap, you should know a few things. First of all, not all soap is made the same way! 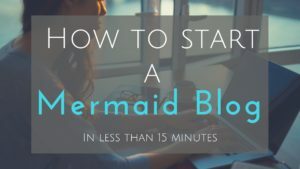 Below you will learn about cold and hot pressed soap, what makes translucent soap, and new product called whipped soap, and links for if you want to make your own mermaid soap. Hot pressed soap eliminates the curing process before it is molded, rendering the soap ready to use immediately. It forces the soap to go through saponification (which is the chemical reaction between acids (oils) and bases (lye) to foam soap (salt). Heated soap feels a bit rough and kind of mottled because it is not liquid when molded but more of a mashed potato or applesauce consistency. 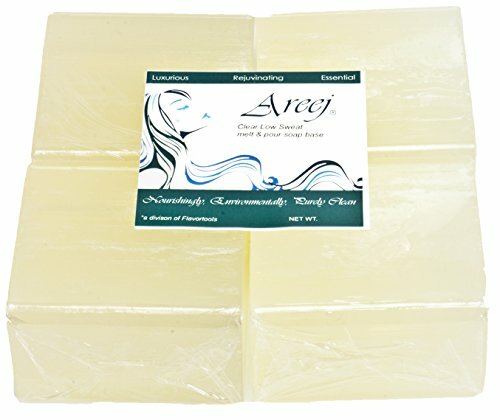 Cold pressed soap is a method that most soap makers use. It is called this because it involves no additional heating methods. All of the heat that is needed for saponification is provided by waiting for the chemical reaction to occur itself! Cold processed soap is very liquidy when it is poured into the mold. The liquidity of this soap allows for all of the beautiful swirling and layering that you see. Cold pressed soap feels more soft to the touch. Transparent soap is a hot process soap added with sugar, glycerin and alcohol to dissolve the soap crystals. This allows light to pass through and give the soap transparency. You can find transparent soap with toys, seashells , and my favorite sparkly glitter. Have you heard of whipped soap before? It’s more of a body butter than an actual soap. It is loaded with oils like coconut and palm to soften and moisture the skin. It can also be used as shaving cream, hair conditioner, and even face cream! Does it look like frosting to anyone else? Molded soaps are beautiful and elegant in detail. Almost feels like mermaid art! You can find them for just tails, or ocean life like seashells and starfish! If you think this look, keep reading to learn how to make your own soaps! If you are interested in making your own soap, there are some soaps that are “ready made” which you just melt down an put into molds. Just buy the soap, melt into the mold and there you have it! Mermaid gifts for everyone! Doesn’t seem that hard and might be fun to try! Best of luck on all your crafting activities!